MANNINGTON TWP., N.J. -- A program called Shots for Tots at Memorial Hospital of Salem County went horribly wrong, according to health officials. The health department clinic was supposed to provide regular childhood vaccines for uninsured kids. But on Monday, officials say at least five of the children received wrong or expired drugs instead. A total of 22 people were serviced by Shots for Tots. 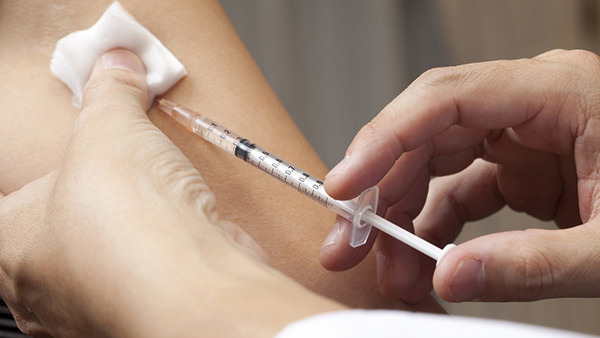 In one case, a 2-year-old boy received a shot of Gardasil, a vaccine for HPV for women. The 2-year-old is at risk of potentially harmful side effects. "We're hopeful and certainly the child is going to be in our prayers and I hope your viewers put the child in their prayers in the context of passing this test. Hopefully, there may not be a negative side effect," Michael Mulligan of the Salem County Counsel said. In another case, Flu Mist was administered to a 1-year-old child. The minimum age is two. At least one chart was illegible, so health officials cannot tell what the patient actually received. The mistakes were discovered during an audit. The Salem County Freeholders said they will pay for medical monitoring of the 20 children and two adults who were vaccinated at the clinic. Operations at the clinic have been suspended.